An island paradise fit for travel all year round as long as you know where you are going as the monsoons are at different times depending on where you go. Choose from the menu to learn more about Sri Lanka's weather. The weather is fine all year round somewhere on the island, with two monsoon winds touching each corner of the island at different times. The South Coast is warm and inviting, with tranquil seas from November to March with the monsoon rains coming between May and September. The East coast is fabulous all year round and is a coastline which is not fully discovered and developed yet and so perfect for those looking for harmony. The North East monsoon comes in between October and January and so is a little shorter than its counterpart. There can be sporadic periods of wetness across the Isle in November and December, but this is nothing like the monsoon levels. Peak season in terms of weather is considered as the end of December to mid-April and so the island can be busier in these times. Sri Lanka as a whole is genuinely a year round destination – as long as you know which side of the island to head for! Due to the diversity in geographical landscape and altitudes temperatures vary all over the island all year. If you would like advice on a certain area please contact us. The island’s humidity ranges from around 60 to 90 per cent and is generally higher in the more mountainous areas of the region. Water temperatures average around 27 – 29 degrees all year round. We are here for you via Skype, email, phone, WhatsApp or face to face if we are in the same country! Choose from the menu to learn more about our travel advice for Sri Lanka. Sri Lanka is UTC+05:30 or 4 hours behind London, 9.5 behind New York, and 2.5 hours ahead of Hong Kong. You can check the time difference from your location here. The currency is the Sri Lankan rupee, and the island’s economy has seen robust annual growth at 6.4 per cent between 2010 and 2015. It is classified as a lower middle-income country and has a population of 20.8 million people with a per capital income of USD 3,912 (2015). The end of the civil war in 2009 helped the economy get back on track. You need a visa to enter the country and these can be purchased ahead of time online. Sri Lanka is seen as a safe place to visit, and most governments advise that you should be cautious when it comes to typical tourist crimes such as drink spiking, credit card fraud (notify your bank before you travel) road accidents, and getting into trouble if you swim at night. In terms of health, Dengue fever is a risk, and so make sure you visit your doctor before you travel and that all your inoculations are up to date. There are 43 embassies in Sri Lanka, and these include Australian, American, and Japanese, find the full list here. This island has such a wide range of eco-friendly activities to do but it's easy to be sold less authentic experiences. We are constantly researching the best options for you. Choose from the menu to learn more about Sri Lanka's activities. In Sri Lanka, you can experience the pristine palm fringed coastline akin to that of the Maldives, and the beautiful mountainous scenery reminiscent of Rwanda, and the crystal clear oceans resembling those of the Caribbean, and at a much more reasonable price. The Zen Gem Isle really does tick every box in a small geographical space. The island presents holiday makers with over 1500km of beach to play with. As well as the serene silent spots which are great for a spot of morning meditation, you can enjoy the hustle bustle of activities on offer including windsurfing, kayaking, water skiing, and scuba diving. All over the Zen Gem Isle you can find stunning landscapes overseen by the mountains in the highlands, aside lush forests, never too far from the glorious ocean, dotted with paddy fields, and with hidden waterfalls. A true paradise blanketed in parts by the famous magical mist from the rich local culture of the north to the beach lifestyle of the south. With Sri Lanka naturally providing us with a variety of landscapes, it is safe to say you will never be bored on the Zen Gem Isle. Thanks to the glorious beaches, and plentiful oceans snorkelling and scuba are favourites, as well as surfing the blue waters. Not only are the waters forthcoming with exotic marine life and gardens, but there are also a number of ancient wrecks for divers to explore making it one of the most dynamic dive sites in the world. Coral reef protection efforts and conservation in the South are getting better over the recent years. Near the capital Colombo in the north of the island, you can find the Negambo lagoon. 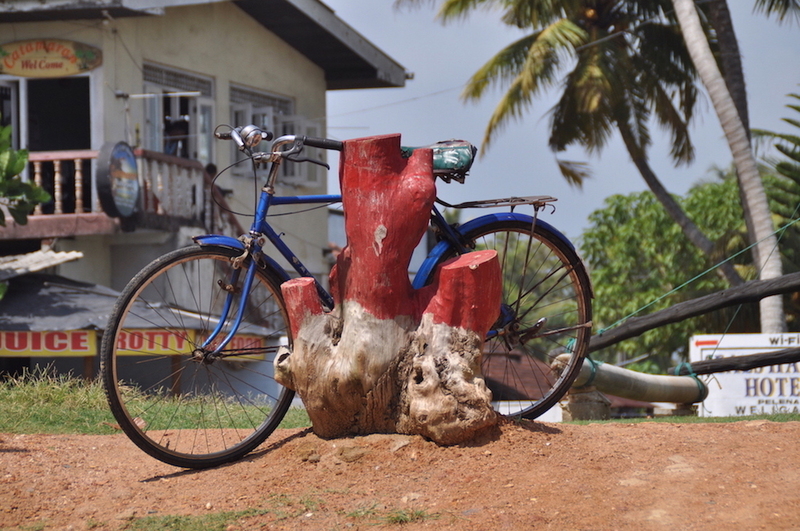 The area is popular with locals and visitors alike, and is presently used for lobster farming. Don’t let this island’s size fool you – it is one of the most biologically diverse places on earth (in the top 5) which means it is home to an impressive array of plants and wildlife. The most famous inhabitants are of course the Sri Lankan Asian elephants, but you will also find sloth bears, leopards, and sambars. The Zen Gem Isle is also home to a number of endangered species which conservationists are working to protect including the red slender Loris, the Toque Macaque, and the Purple-Faced Langur. There is also an impressive selection of reptiles scuttling the ground, and around 100 species of amphibian lurking in the rain forests. In the air you can watch for over 400 species of bird glide around in the warm breeze. As well as these land-based beauties, the expansive Indian Ocean is home to many a marine wonder. You may be lucky enough to catch a sighting of a blue whale, a sperm whale, or a lively school of dolphins. This of course is in addition to the range of under-surface creatures which delight divers and snorkelers. There are a number of national parks which are not to be missed, and a multitude of reputable organisations to book tours with too if you fancy a bit more structure to your trip. The Zen Gem Isle is a hub of relaxation and spirituality. It has an air of healing, and has the capability to inspire people. It charm, sounds, flavours, and sights all add up to create a paradise of calm for visitors and locals too. Meditation is a big part of Sri Lankan Buddhist culture and it is hailed as the greatest cure for ailments of the body and mind. Buddhist meditation is focussed on mental health, mindfulness, right concentration, and right view. Ayurveda is a local treatment comprised of a balance of herbs and diet which was the countries only medication until the western methods came in the 1900s. The monks’ refectory is another place to visit. There is also the opportunity for some retail therapy on the island, with many local bazars offering locally wood carved objects, hand crafted jewellery, and pottery. Sri Lanka’s weavers, jewellers, and woodworkers are renowned world-wide. There are also a number of spas for people to kick back and enjoy some local therapies and more traditional relaxation techniques. Sri Lanka has a history spanning over 3000 years, with many of its ancient charms still intact. 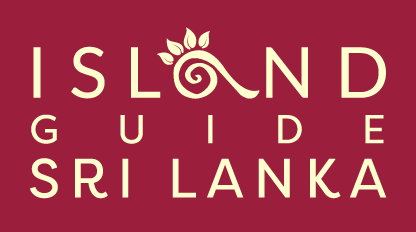 Choose from the menu to learn more about Sri Lanka's culture. Sri Lanka has a history spanning over 3000 years, with many of its ancient charms still intact. In places such as Anuradhapura (previously the country’s capital), Polonaruwa, and Difamadulla you can see the intricate monuments carved into the cool stone. A beautiful feat of architecture, and a magnificent reminder of a time gone by. There is also Sigiriya, a place which looks ahead of its time with an impressive fortress and water garden display. Polonaruwa boasts some of the most advanced irrigation systems for the age – so advanced for their time some are still in use by local farmers. Difamadulla is also thought of as a spiritual centre and is still popular with soul searching visitors today. 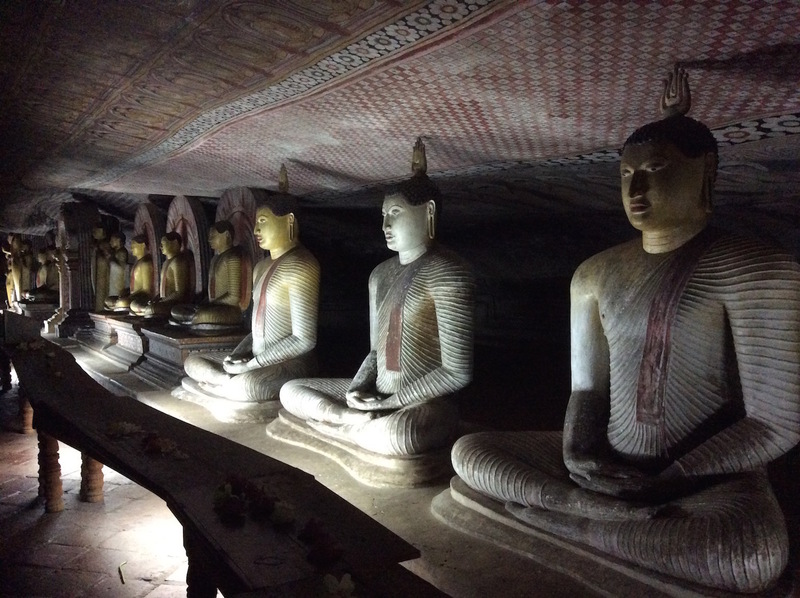 Anuradhapura is a sacred site for Buddhists world over. Kandy is another area popular with visitors, a phoenix arisen from the ashes of three ancient wars, the Kingdom still has relics intact for all to enjoy. As well as the stunning scenery, the abundance of activities, and the spiritual nature of the Zen Gem Isle, the people are at the Islands very heart. This diverse culture is fascinating and intriguing to those travelling to the region. They are addicted to tea, wild about mad spices, cricket crazy and famed for their beaming smiles. Enriched with thousands of years of Buddhist culture and knowledge, Sri Lankans come in all colours and creeds and the vibrancy of their society is soon to rub off on you. With such a diverse population, there is always a festival of some kind to get involved with. Every month there is a celebration of religious or cultural significance. The Sinhala-Tamil New Year Festival held in April is among the most impressive, as it is at the end of the harvesting season celebrating the coming of a new year. The May Full Moon merriments known as Poya Day or Vesak is a key point in the Buddhist calendar, where enlightenment is celebrated and the passing of Lord Buddha marked. Food, drink, and arts are a pivotal part of any festival on the Zen Gem Isle. There is also the Esala festivals in Kandy in August which are multi-faith occasions and where Sri Lanka’s acceptance of diversity really shines. Some of the freshest dishes and colourful tastes on the planet, a food lovers haven. Choose from the menu to learn more about Sri Lanka's food. Thanks to the diverse cultural heritage of Sri Lanka, the food is very unique with spices and flavours brought from India, Arabica, Malays, Portugal, Holland and the UK. The staple diet is rice and curry with coconut, chilli, cinnamon, garlic, and usually some type of fish. 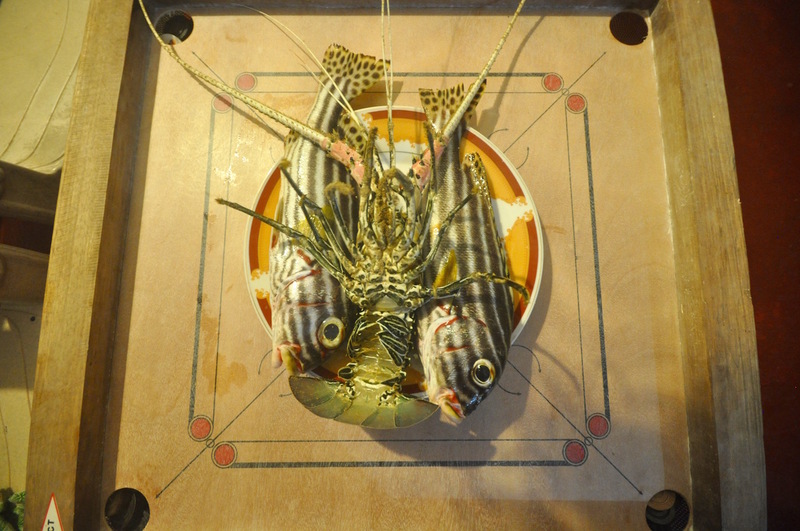 Seafood is enjoyed right across the island – nice and fresh for those beach time BBQs. Sri Lankan cuisine can be quit hot – similar to the spices enjoyed (or avoided depending on your tastes) in Thailand. Prices are reasonable, with even main meals in the poshest restaurants coming in at under $15 and the more authentic style street food only a couple of bucks. As well as curry, the ‘hopper’ (appa) is a small round pancake made from a coconut milk batter and filled with whatever your heart desires. It is common culture in Sri Lanka to enjoy your food with your fingers. You will often see locals weave and stitch the food together so every mouthful has a unique and different taste. We highly trying it out for yourselves, some say it really improves the taste of the dish. The main routes are fast moving with beeping, swerving traffic, certainly an experience but you will soon get used to it. Choose from the menu to learn more about getting around in Sri Lanka. The road network is reasonably well developed, without being overbearing – just enough to get from A to B. This means travelling from the shoreline to the mountainside is no trouble at all, and in fact is part of the pleasure of the overall experience of the isle. The tracks take you through sleepy villages, thriving forests, productive paddy fields, all the way up to the breath-taking mountains. Here, for the more active among you, you can find hiking trails and trekking paths for the keen walkers, but they can also be enjoyed on horseback or by elephant for those who prefer the less strenuous route. 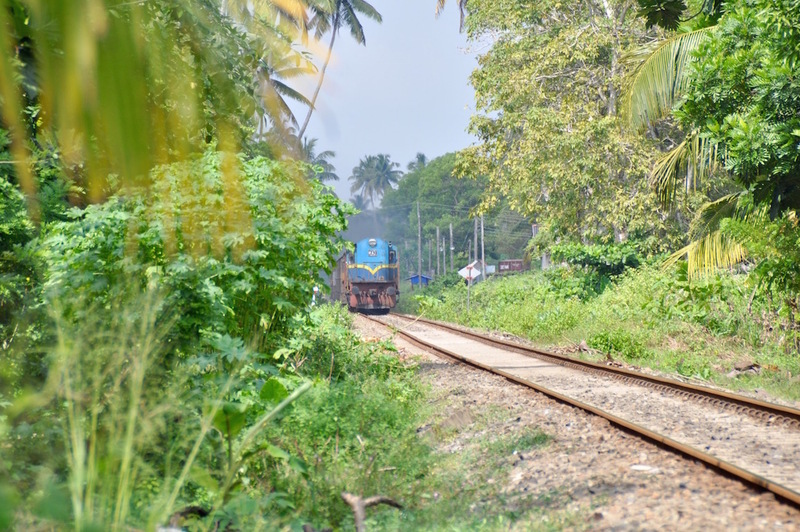 The rock formations, the waterfalls, and the natural landscape will have you in ore. You can also cycle, or get the train from Colombo to most tourist towns. There is also quite a good bus network as well as taxi’s or the more traditional Trishaws (Tuktuks). Regular flights to Columbo make it easy to get to from Europe. Choose from the menu to learn more about getting to Sri Lanka. 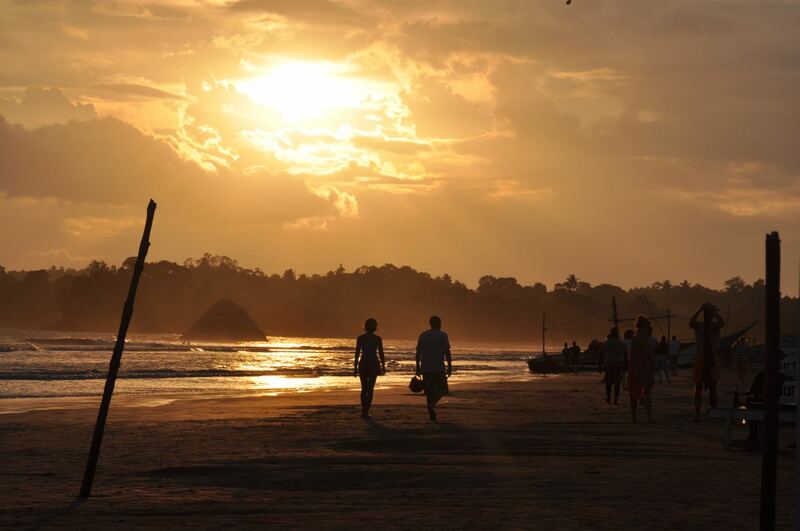 Travelling from London to Sri Lanka is relatively easy, and cheap as well! The average flight price varies depending on what time of year you travel, but you can get a direct flight from London Heathrow to Colombo for around £460 return in June, £800 in August, £500 in October, £600 in January, and £700 in April. A direct flight takes around 11 hours, if you include a stop over which can sometimes be cheaper it can take around 13 to 14 hours. From New York’s JFK you can expect to pay around £700 in June, £800 in August, £600 in October, £500 in January, and around £600 in April. There are no direct flights, and with one stop over (usually in Dubai or Doha) the flight will take between 18 and 24 hours. There are also two stop options which breaks up the long journey a little bit more. Los Angeles (LAX) to Colombo provides a similar picture as New York. Again you are unable to get direct flights with one or two stops again in the Middle East and a slightly longer flight average of between 21 and 26 hours. In June you will pay around £700, August around £600, £500 in October, £500 in January, and around £500 again for April – so a little more equal year round. Journeying from Hong Kong to Sri Lanka will take you around 10 to 12 hours with a stop off in Singapore or Kuala Lumpur. If travelling in June you can expect to pay around £200 to £300 all year round with a slight increase (around £100) at peak times such as the holidays.